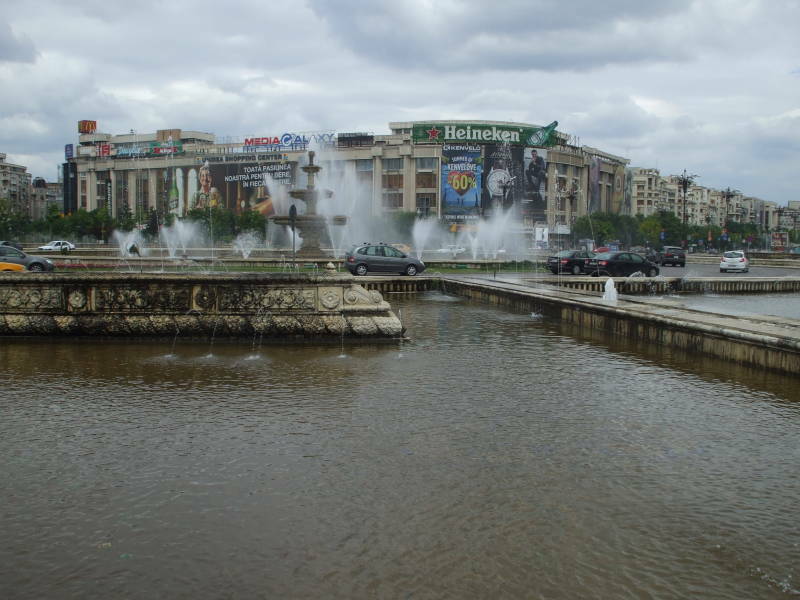 We had arrived in Bucharest, or Bucureşti as the locals call it. The Romanian letter Ş/ş is pronounced like the "sh" in "ship". This is part of the Athens to Paris by Train series, start at the beginning to get the background and the details so far. We arrived here by train from Veliko Tarnovo, Bulgaria, crossing the Danube River into Romania at Girugiu. 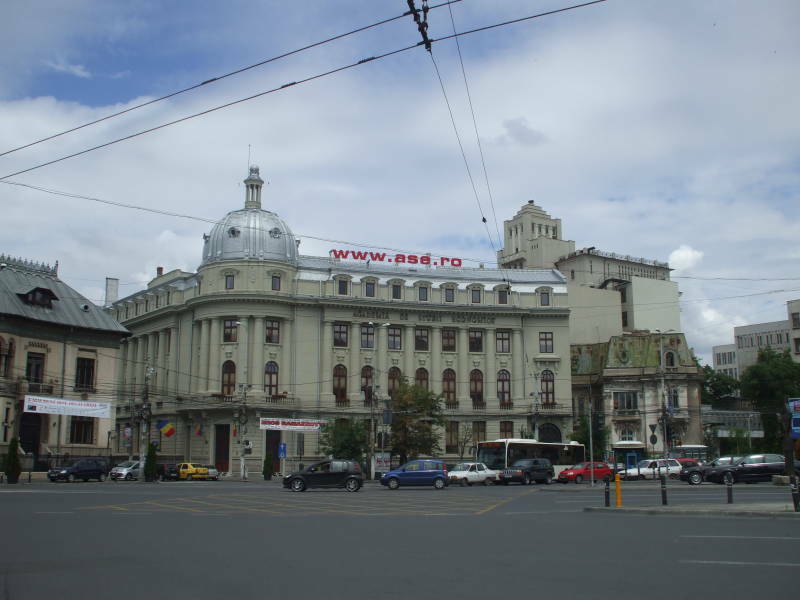 The city has been the capital of Romania since 1862. Until 1878 Romania was a nationality but not a country. A revolution rose up in the principalities of Moldavia, Wallachia, and Transylvania in 1848. Those three principalities make up the bulk of today's Romania. Moldavia and Wallachia were ruled by the Ottoman Empire, rather poorly and under heavy taxation, and Transylvania was ruled by Austria-Hungary. The revolution failed in its goal of gaining complete independence from the Ottoman Empire for Moldavia and Wallachia, and national emancipation from Hungarian rule for Transylvania, but it did lead the populations of all three to realize their shared interests, language and geography. In 1859, Moldavia and Wallachia elected the same Domnitor (or Ruler), Alexandru Ioan Cuza, as their now shared prince. Well, that's one way to merge two nations. Cuza was then overthrown in a coup in 1866 and replaced by Prince Karl of Hohenzollern-Sigmaringen, who then became known as Prince Carol of Romania. Romania fought on the Russian side in the Russo-Turkish War that we saw winning Bulgaria's independence from the Ottoman Empire on our previous stop on this trip, in Veliko Tarnovo, the Bulgarian capital during its days of empire and again after independence. This same war also brought international recognition for the independence of Romania in 1878. 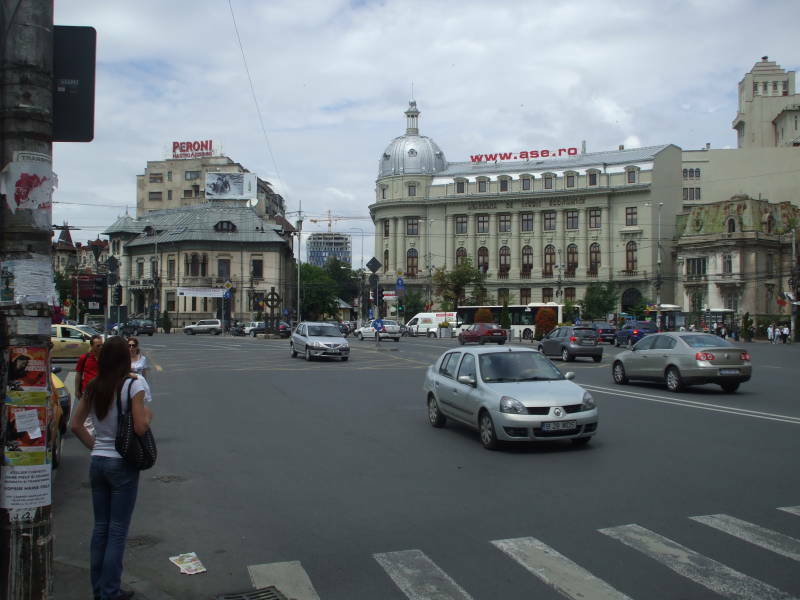 Meanwhile, in 1862, Bucharest had been made the Romanian capital. The current borders of Romania are the result of territorial transfers after the First World War. The Central Powers were defeated. Romania gained Transylvania from the Austro-Hungarian Empire, and Bessarabia and Bucovina chose union with the Kingdom of Romania. We were staying close to Bucureşti Gară de Nord, the main passenger train station. We stayed at the Hotel Elizeu, just a short walk from the station. Bucureşti Gară de Nord is a large station with 14 tracks and 8 platforms handling about 200 trains a day serving all of Romania and connecting internationally to Bulgaria, Serbia, Turkey, Hungary, Austria, Moldova, Ukraine, and Russia. 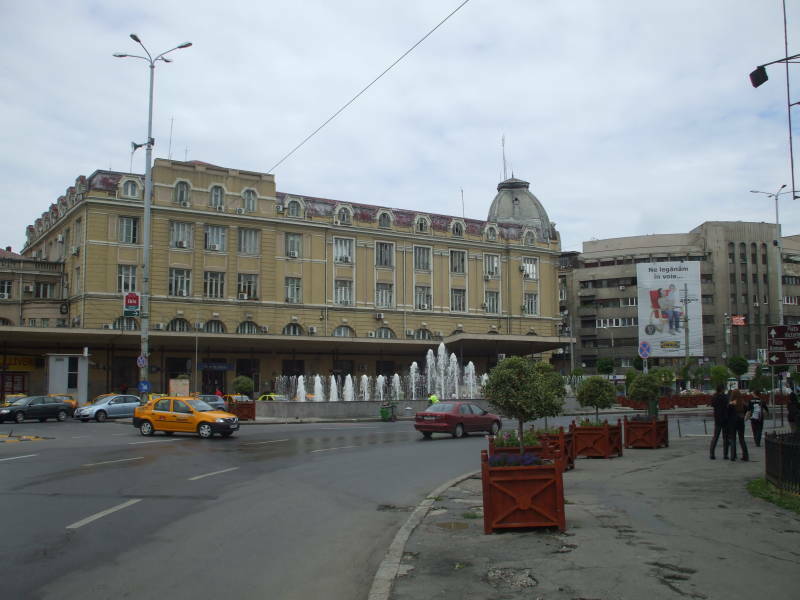 The Romanian "Gară de Nord" is very similar to the equivalent French "Gare de Nord" as the two languages are related Romance or Latin-based languages. We have walked to Piaţa Victoriei. The Romanian letter Ţ/ţ is pronounced like the "ts" in "cats", so the Romanian word piaţa is equivalent to and pronounced just like the Italian word piazza. 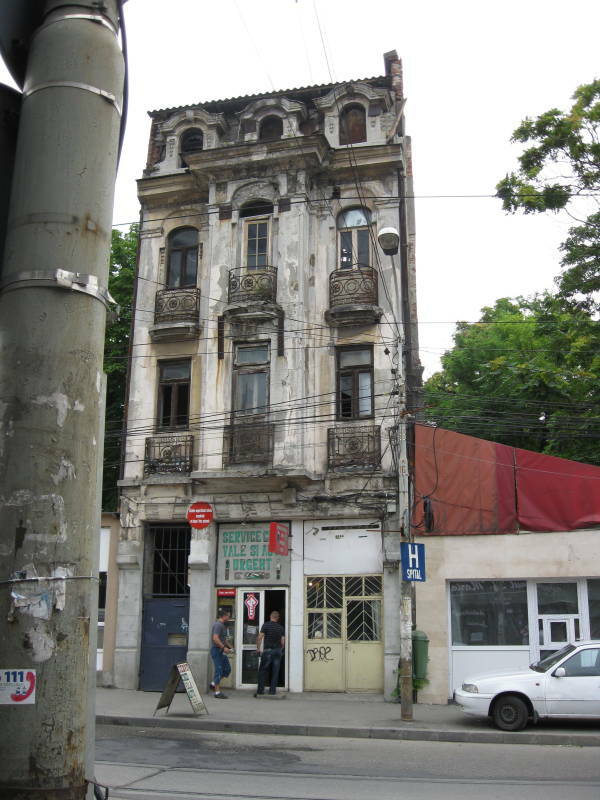 Most of the Bucharest's medieval architecture was destroyed by fires, military incursions, and Communist "renovations". 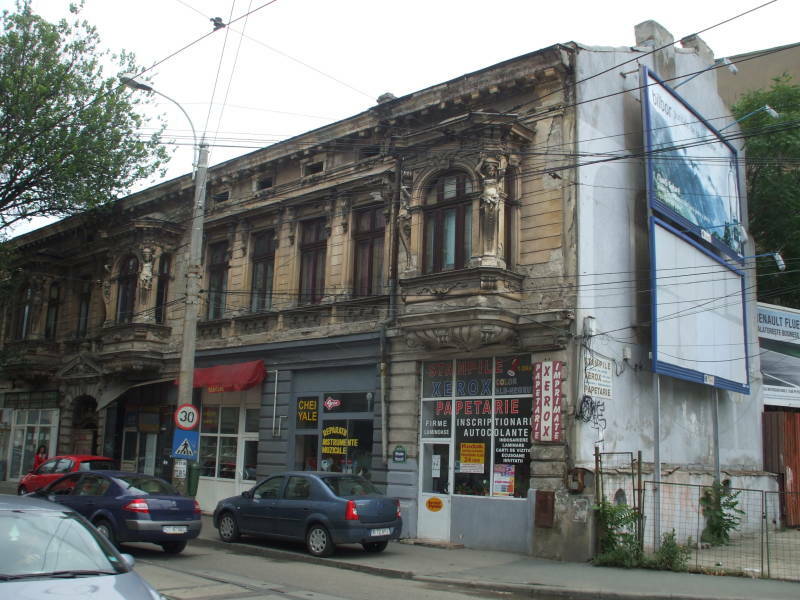 But central Bucharest retains a lot of late 19th and early 20th century architecture. 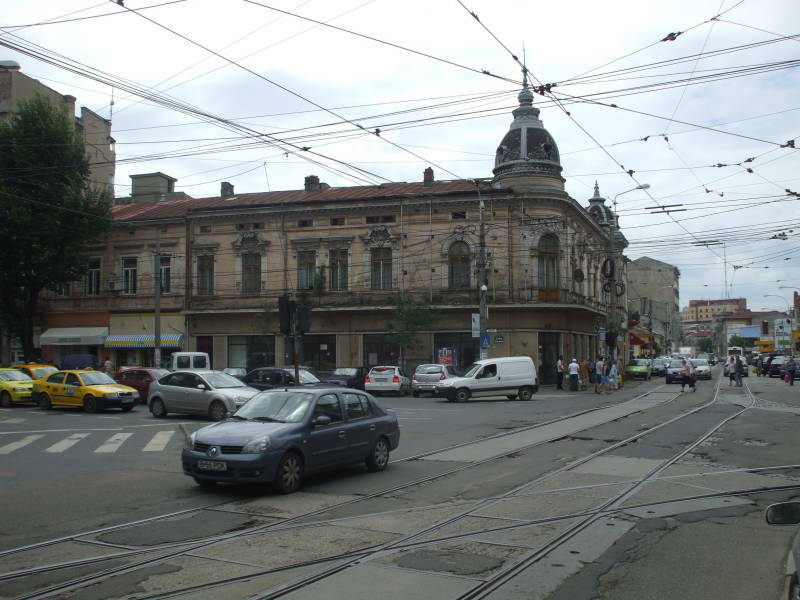 This era of Art Nouveau architecture, most popular during the period 1890-1910, and the following years between the First and Second World Wars are regarded as the golden years of Bucharest architecture. The city was growing rapidly and had the wealth to compete architecturally with western capitals. 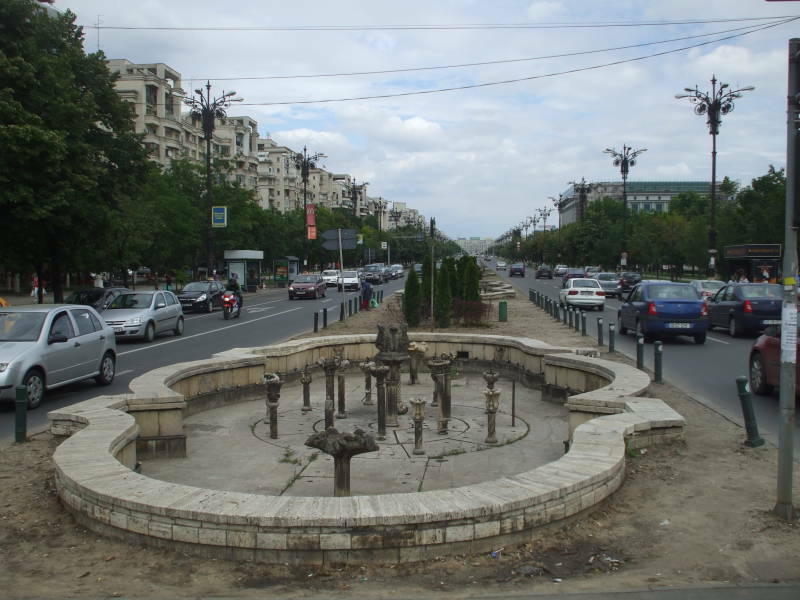 You often read that Bucharest was known as the "Paris of the East" during this time. Oddly, though, nothing ever gets called the "Bucharest of the West". That doesn't seem fair. Several buildings are being renovated to restore some of the beauty of that era. Many buildings are under renovation, some have already been renovated. 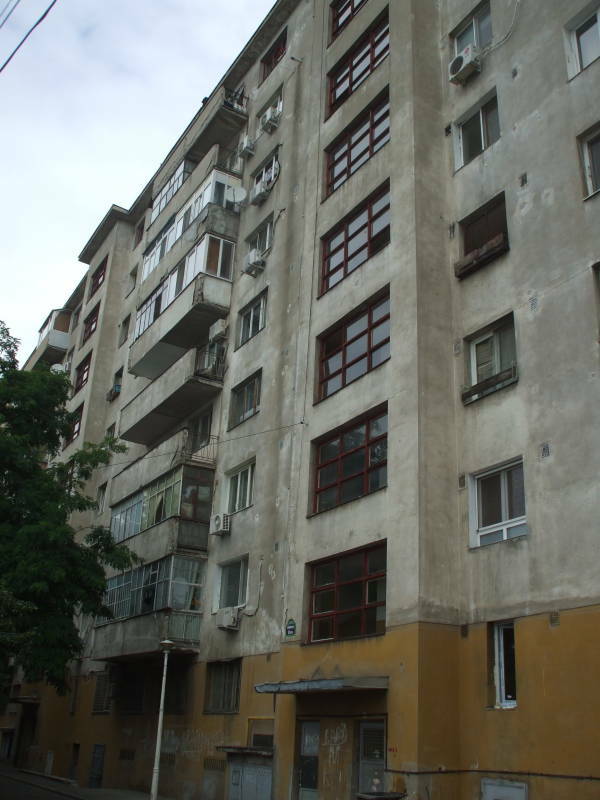 Many large and fairly grim apartment buildings were built during Romania's period of communism, from 1947 through 1989. They're still here, as bleak as ever. 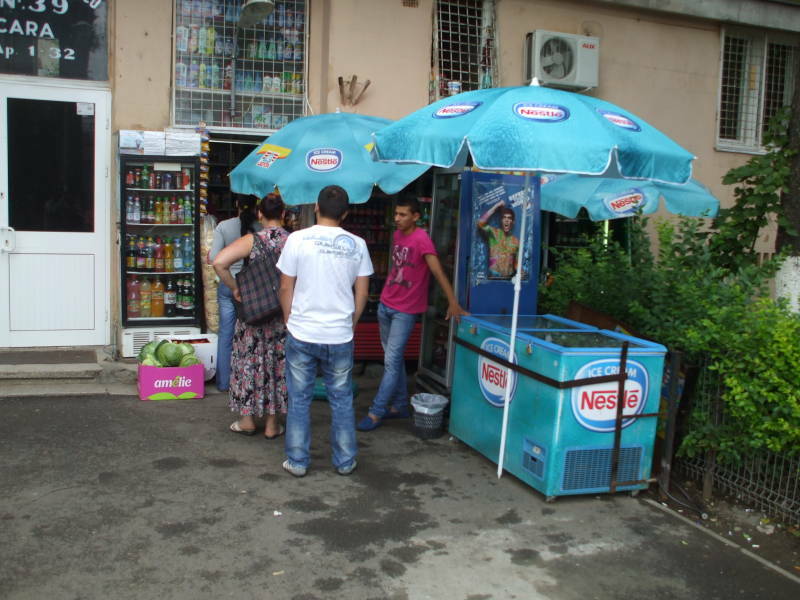 Capitalism flourishes on scales large and small in today's Romania. 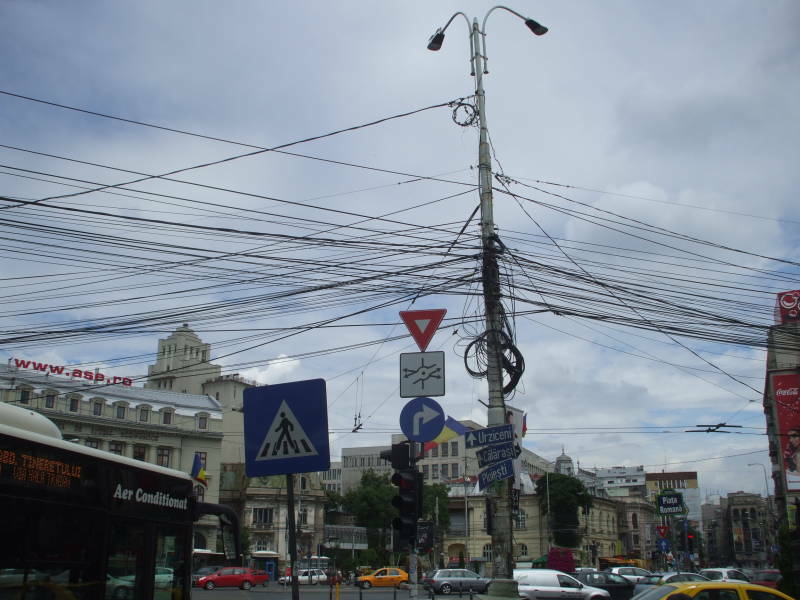 Some people would look at this tangle of telco cabling and conclude that Romania was somehow backward. But that would be a very naive assumption. At the end of 2010, Romania had 7.8 million connections to the Internet, 4 million of them broadband. As far as speed, the content delivery service Pando Networks did a worldwide study in 2011. Romania had the second-fastest Internet service in the world. The USA came in at #26. As a content delivery service, Pando's systems distributed around the world serve up the bulky image content making up the majority of the data on media-rich pages. They are therefore in a position to measure network speeds from their widely scattered servers, all of them with very high bandwidth connections to the Internet backbone, to client hosts all around the world. The limiting bandwidth is the bandwidth of the connection between the client and its ISP, and that is what is measured here. Pando collected data for a year, gathering statistics on 27 million downloads by 20 million client computers in 224 countries, totaling over 35 petabytes of data. 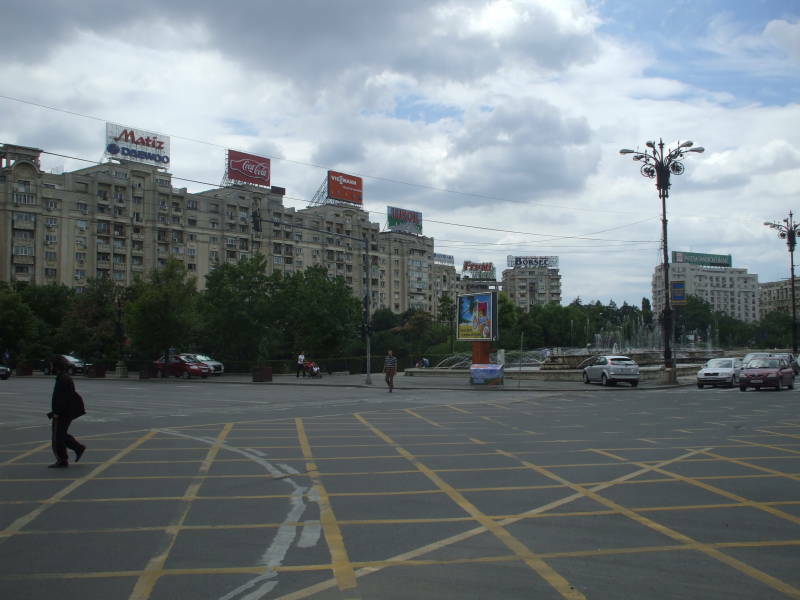 Piaţa Unirii is an enormous square in Bucharest. 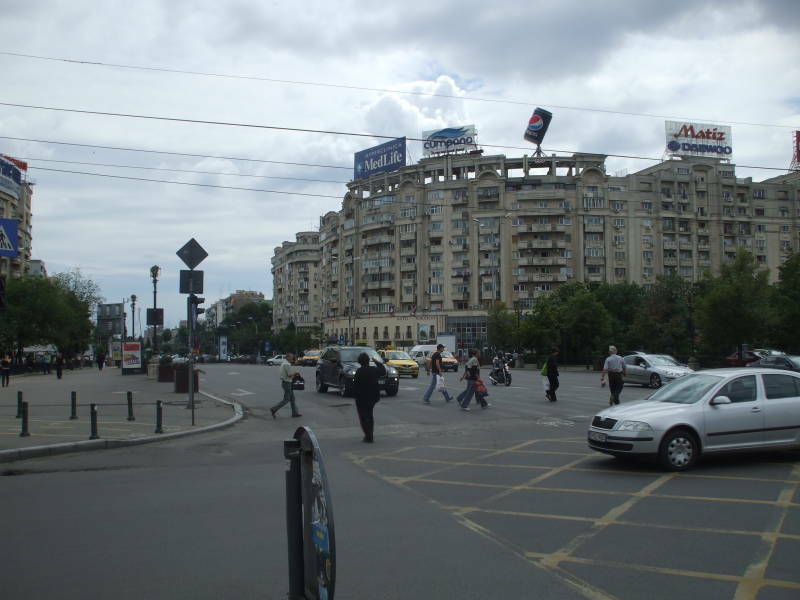 It is on B-dul Unirii near its intersections with major north-south boulevards. You always see B-dul in place of bulevard. The current name Piaţa Unirii means Unification Square. 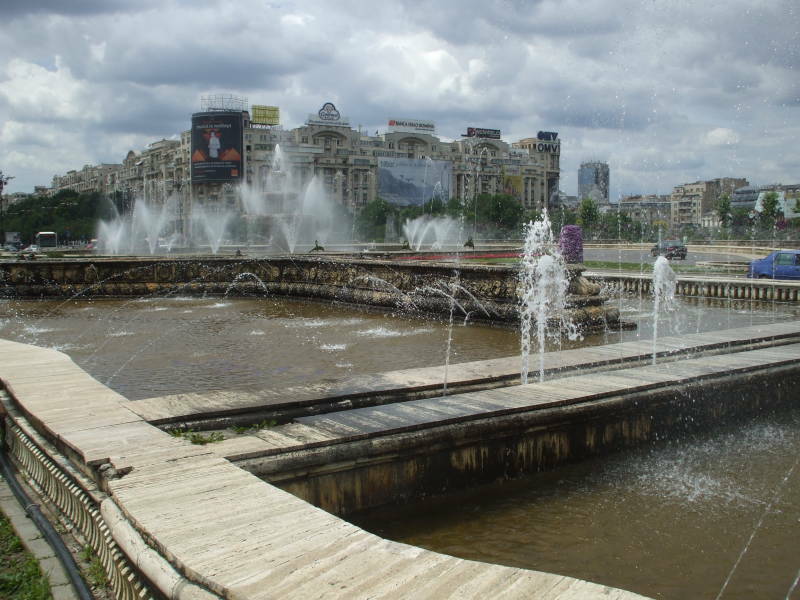 The boulevard was named the Boulevard of the Victory of Socialism during the Communist era, it was renamed after the Romanian Revolution of 1989. That's the infamous Palace of the People in the distance, we will see it much closer below. And this gets us into the dreadful history of Nicolae Ceauşescu. The Soviet Union occupied Romania after World War II, forcing King Michael I to abdicate and leave the country in 1947. The Soviet Union maintained direct military and economic control of Romania until the late 1950s. Gheorghe Gheorghiu-Dej was the First Secretary of the Romanian Workers' Party and the leader of Romania from 1948 until his death in 1965. Nicolae Ceauşescu took power then, maintaining it until his spectacular fall from power in 1989. The Romanians and western leaders liked Ceauşescu initially, because of his independence and his challenging of the Soviet Union's authority. He ended Romania's active military participation in the Warsaw Pact, eased press censorship, and not only refused to contribute Romanian forces to the 1968 invasion of Czechoslovakia but openly condemned it. Ceauşescu's Romania was the first Communist country to recognize West Germany, join the International Monetary Fund, and welcome a visit by a U.S. President, Richard Nixon in 1973. He was involved in negotiations behind geopolitical events such as the 1969 opening of relations between the U.S. and China and the 1977 visit to Israel by Egyptian president Anwar Sadat. Romania was the only country in the world to maintain normal diplomatic relations with both Israel and the Palestine Liberation Organization. Ceauşescu returned to Romania with an enthusiasm for all things North Korean. Books on Juche were translated into Romanian and widely distributed. On July 6, 1971, he gave a Maoist themed speech which came to be known as the "July Theses". This called for something similar to China's Cultural Revolution. The Cultural Revolution in the PRC and the Juche philosophy in the DPRK. Enormous construction projects in the DPRK. The cults of personality of the DPRK's Kim Il Sung and the PRC's Mao Zedong, possibly related in some way to their pompadour hairstyles. 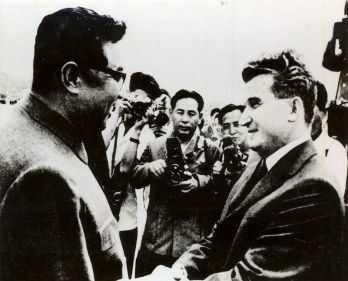 Nicolae Ceauşescu and Kim Il Sung meet in 1971. "I really like your hair, architecture, and cult of personality!" 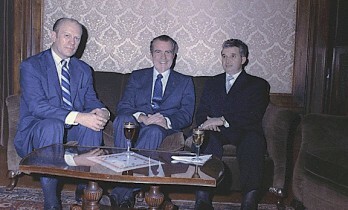 Nicolae Ceauşescu with Gerald Ford and Richard Nixon in 1973. Ceauşescu called his program of demolition and construction Systematization. 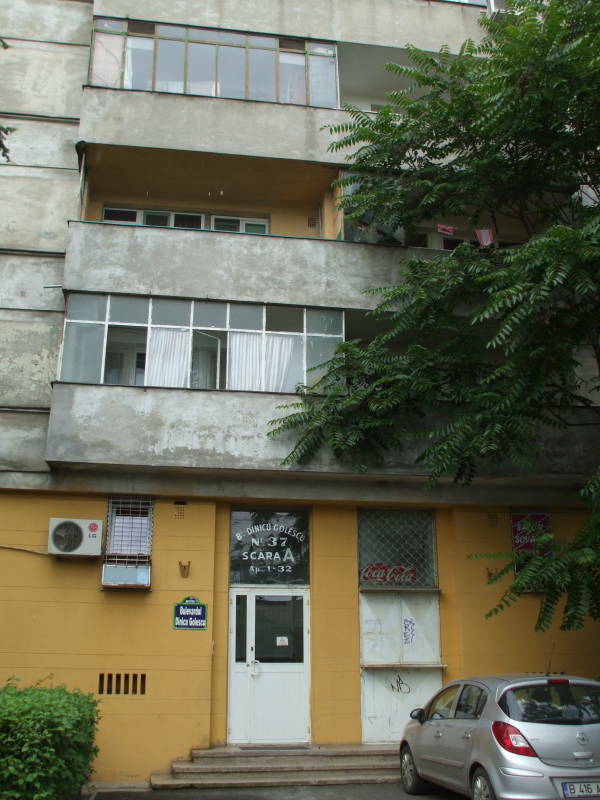 The Romanians called it Ceauşima, a sarcastic combination of "Ceauşescu" and "Hiroshima". 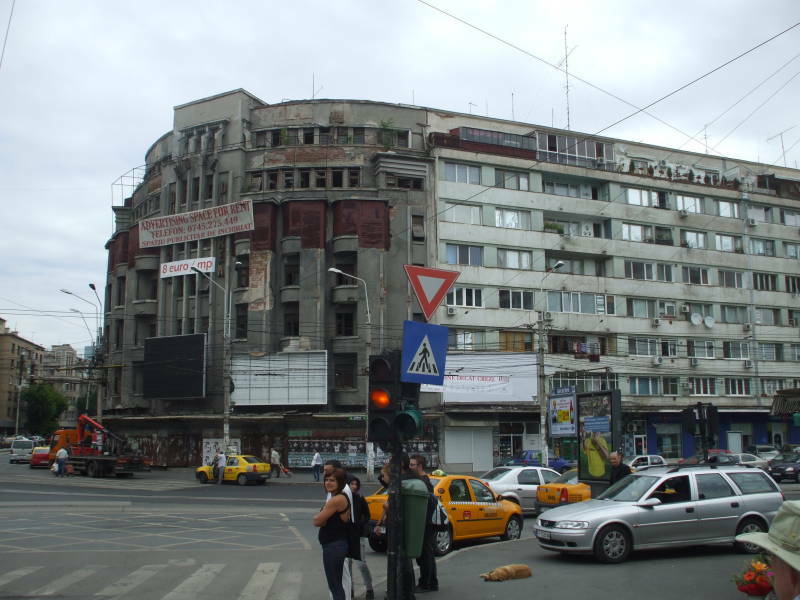 The point was that Bucharest in the 1980s was looking more and more like Hiroshima in late August of 1945. 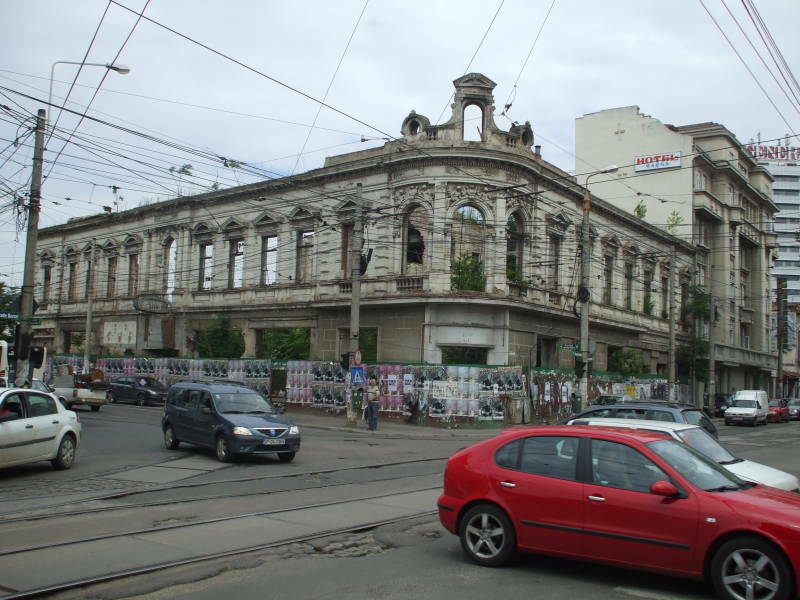 Vast areas of historic central Bucharest were demolished, and gigantic government and apartment buildings constructed in their place. There were grand ideological ideas behind this: Lenin's formula of "the fight between old and new", and the goal of "edifying the multilaterally developed socialist society." All the while Ceauşescu was meeting with the planners and engineers multiple times per week to pass along his indicaţii preţioase or "valuable instructions". These indicaţii preţioase or "valuable instructions" included a directive to get precise measurements of the width of the Champs Elysée in Paris and the length and width of Красная Площадь or Red Square in Moscow. 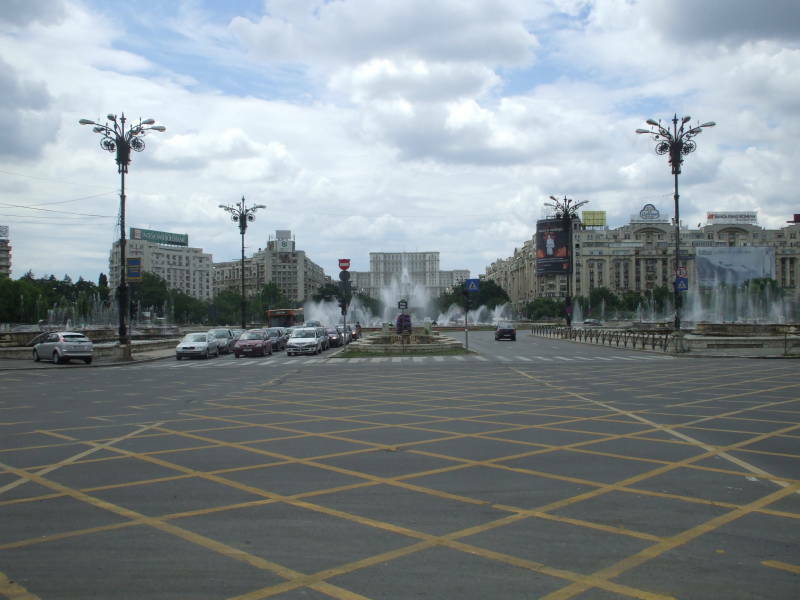 The Boulevard of the Victory of Socialism was then required to be a few meters wider than the Champs Elysée and the Plaza of the Victory of Socialism a few meters longer and wider than Red Square. An area of 380 hectares was completely destroyed, and an area approximately five kilometers long by one kilometer wide was bulldozed. About half of the 500 hectare area referred to as "Ceauşima" had been considered of historical significance. 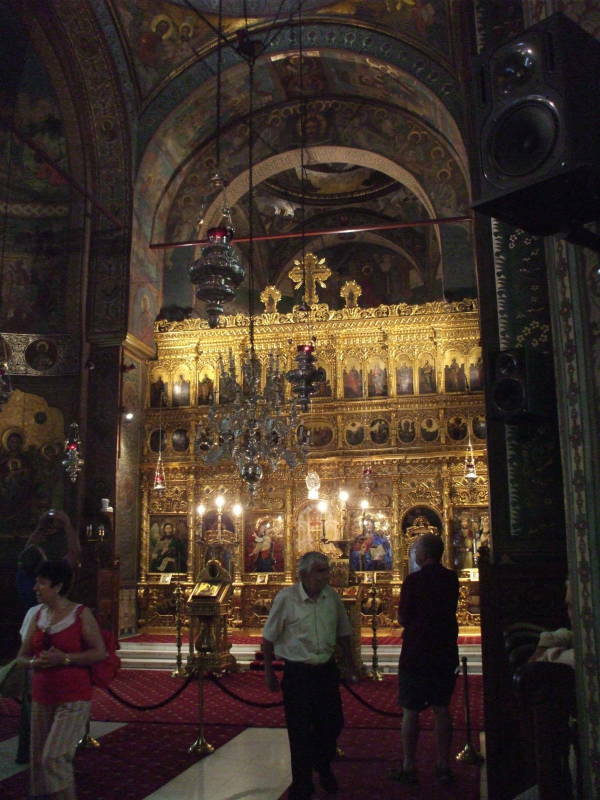 Twenty-seven Orthodox Christian churches, six Jewish synagogues, and three Protestant Christian churches were destroyed. 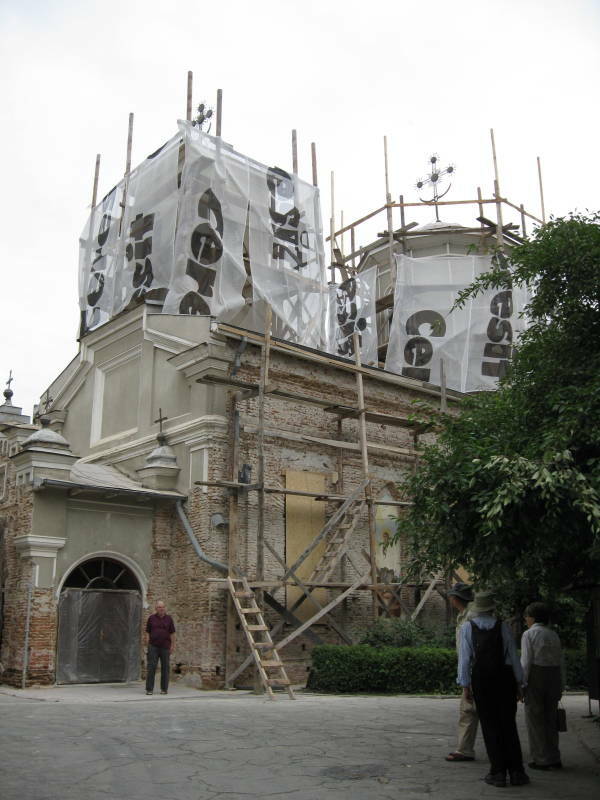 But this wasn't a specifically anti-religious program, Ceauşescu wanted to demolish and reconstruct everything and they were just in the way. Ceauşescu was a tinkerer. In 1966 he decided that the Romanian population was too small. He decreed that contraception and abortion were now illegal and divorce nearly impossible. The population was starting to grow by the late 1960s. This encouraged his plans for Systematization. But the reality led to enormous bleak complexes of cramped apartments and a trend toward child abandonment and the largest orphanage population in Europe. The most wretched of the excess is at the far western end of B-dul Unirii: Palatul Parlamentului or the Palace of the Parliament. 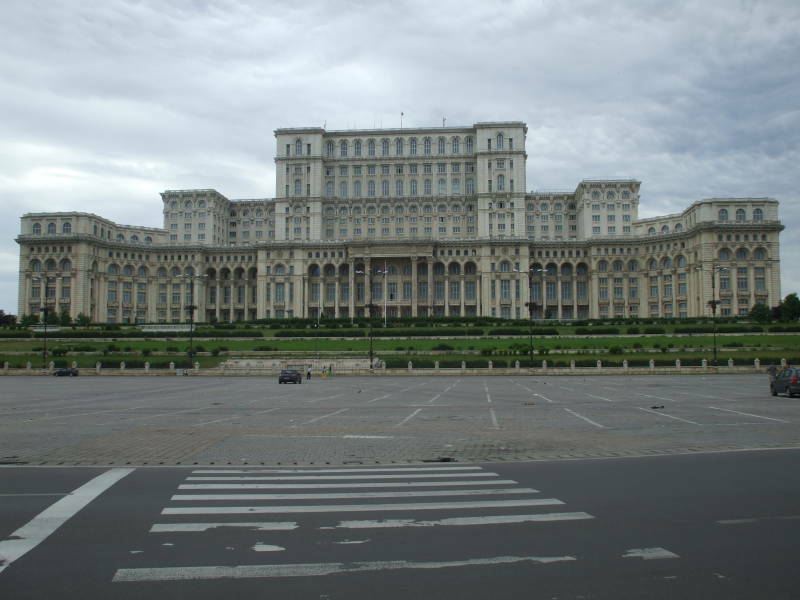 Ceauşescu had named it Casa Republicii or the House of the Republic, but most Romanians call it Casa Poporului or the House of the People. This is the world's largest civilian administration building. The U.S. military's Pentagon is slightly larger. This pile is 270 meters long, 240 meters in width, and 86 meters tall above ground while extending 92 meters underground. Yes, as large as it looks here, it goes even deeper underground than what you see above the surface. 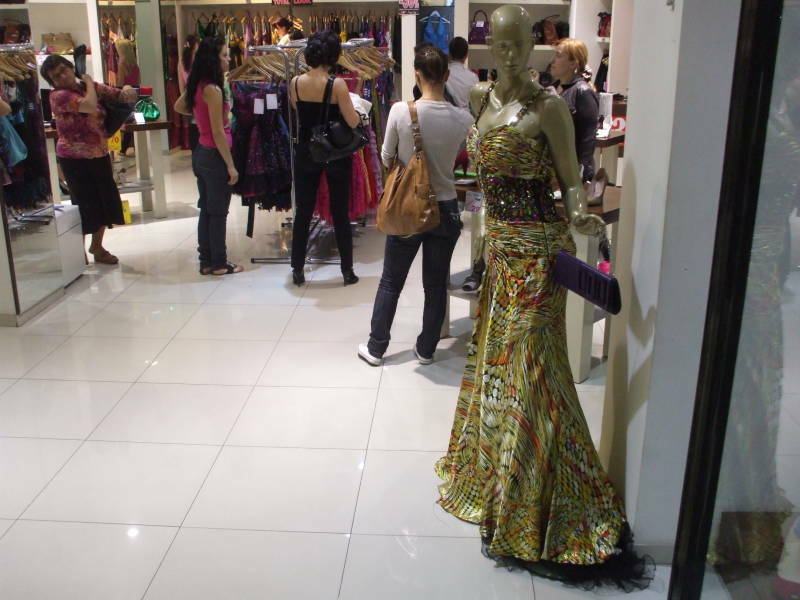 It has 340,000 square meters or 3,700,000 square feet of floor space. 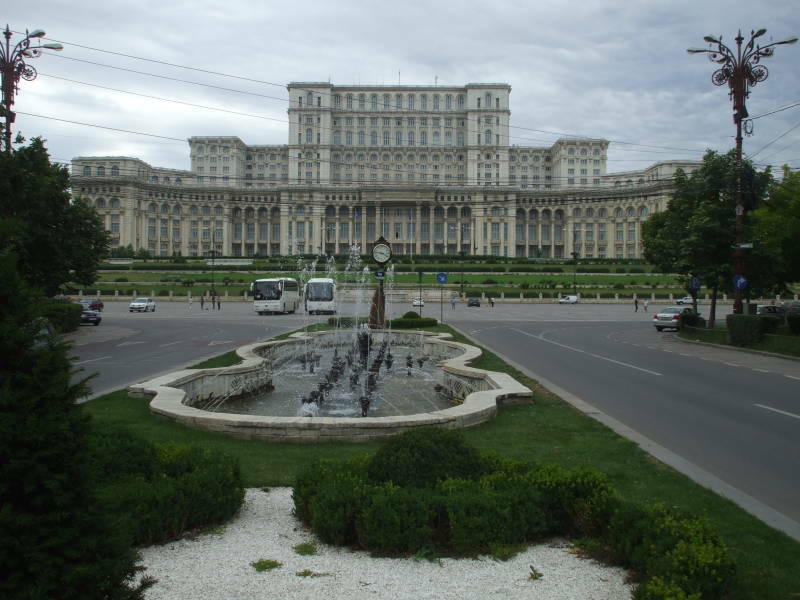 Ceauşescu planned for this building to house his residence plus the four major branches of the national government. There are many overwhelming statistics: how many windows, how many tons of various metals for doors and chandeliers, and the enormous carpets, some of which were woven in place on special-purpose machines assembled inside the building. So what happened to Ceauşescu? Ceauşescu had made a very prominent speech in 1968 condemning the Soviet crushing of the Prague Spring. This made him nervous about the possibility of a Soviet incursion into Romania. He formed the Garda, a sort of National Guard that led to military training for all university students and thorough arming of the Garda forces with indigenously built semi-automatic-only AK-47 variants (the PM md. 63) and other arms. Ceauşescu eventually discovered that if you arm a large block of the population, exhort them to resist oppression, and then try to heavily oppress them, things might turn out very different from what you had intended. Ceauşescu was overthrown in a revolution in December, 1989. The revolution was provoked by three main causes. First, the Securitate or secret police had become an overwhelming presence in the country. The common belief, probably exaggerated, was that one in every four Romanians was a Securitate informer. While the number was probably significantly smaller, the state played up the paranoia to better control the people. Second, Ceauşescu had established an official austerity program in hopes of liquidating the entire national debt in just a few years. But this caused widespread shortages. Electricity was interrupted for hours at a time. 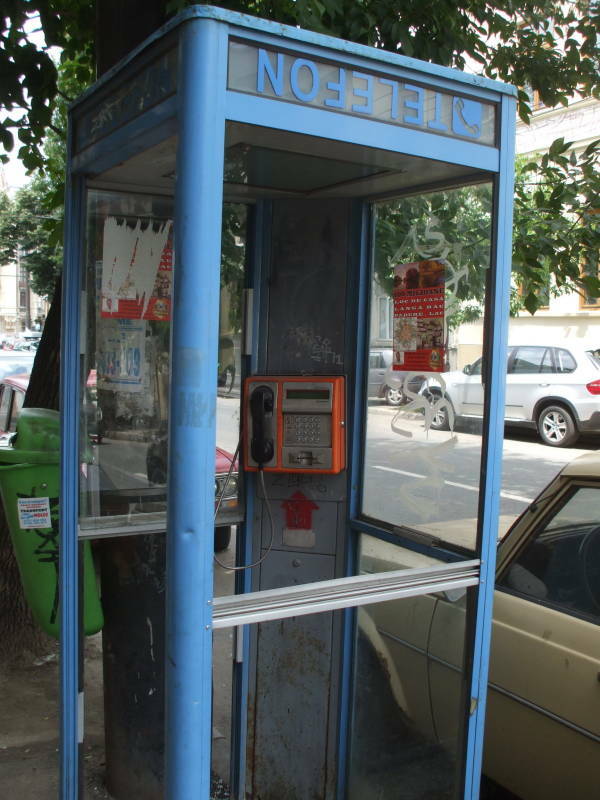 Romanian television was reduced to a single channel transmitting only two hours per day, and all radio stations outside Bucharest were shut down. 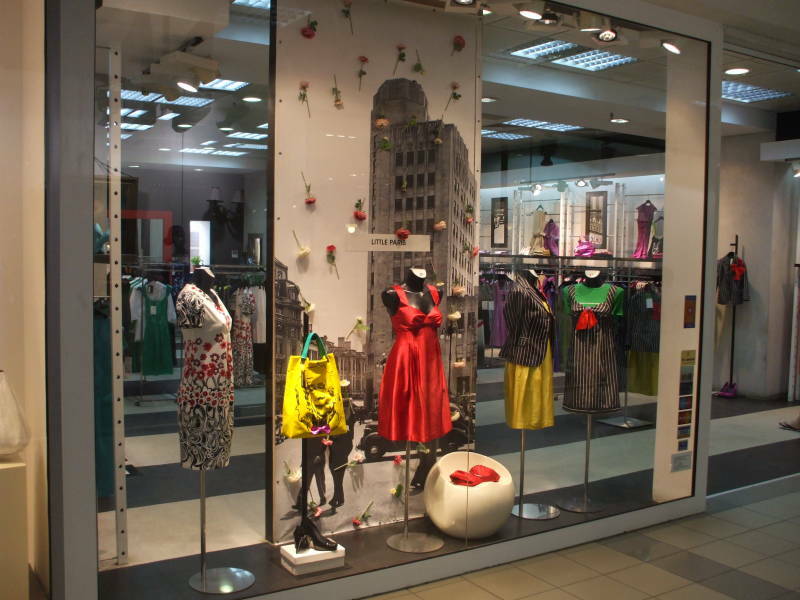 Food, clothes, other goods and electricity were all exported in exchange for foreign currency. Those two hours of television would be filled with footage of Ceauşescu praising the "high living standard" he had achieved for Romania as he stood in a store filled with food or other goods. Sometimes these stores were filled with special deliveries of food, and a small group of well-fed cows was even transported around the country for television appearances. On at least one occasion the "food" he was inspecting and approving was mostly painted plastic replicas. Third, everyone was disgusted with Ceauşescu's cult of personality, of which his disastrous demolition and construction projects were a part. He gave himself elaborate titles such as Conducător or "Leader", and Geniul din Carpaţi or "Genius of the Carpathians". He had a special regal sceptre designed, an elaborate trapping of royalty. The surrealist artist Salvador Dali sent a sarcastic telegram to the Conducător congratulating him on his introduction of the "presidential sceptre". State media didn't realize that it was a joke and published the telegram in the daily Scînteia. The revolution started with demonstrations in Timişoara in early December, 1989. The initial demonstrations were triggered by the government's attempt to evict a local activist. Romanian students joined the demonstrations, which quickly became a general movement against the government with little to no connection to the original events. Military, police and internal security forces responded with lethal force. Ceauşescu returned from a state visit to Iran on December 20th. He gave a televised speech claiming that the events in Timişoara were "interference of foreign forces in Romania's internal affairs" and an "external aggression on Romania's sovereignty". A mass meeting was staged on December 21st. The national media claimed that it was "a spontaneous movement of support for Ceauşescu". There were about 100,000 people on what then was called Piaţa Palatului or Palace Square, now Piaţa Revoluţa or Revolution Square. Ceauşescu began his usual style of wooden speech filled with pro-socialist party rhetoric, listing achievements of the "socialist revolution" and the Romanian "multi-laterally developed socialist society", claiming that the Timişoara uprising was the work of a few "fascist agitators". People began booing and chanting, and Ceauşescu suddenly had an obviously confused and powerless look. The event was being carried on state television and an estimated 76% of the population was watching. Ceauşescu was losing power and the revolution was starting in earnest on live TV. In this case the Revolution was televised. State censors attempted to cut the video feed and replace the broadcast with recorded songs and videos praising the "Genius of the Carpathians", but that 76% of the population had seen him losing power with no understanding of what was happening. Ceauşescu and his wife, along with other officials, panicked. Bodyguards pulled them back into the Central Committee building. The next day, December 22nd, Ceauşescu's minister of defense died under suspicious circumstances. Ceauşescu claimed that he had been sacked for treason and then committed suicide. Everyone understood "treason" to mean that he hesitated to pass along the dictator's orders for troops to open fire on the demonstrators. The "suicide" may have had state assistance. His replacement turned out to be even less helpful. He ordered the troops back to their quarters without telling Ceauşescu. Ceauşescu tried again to address the crowds but failed. He and his wife Elena fled to the roof of the government palace as the mob broke into the building and started making its way upstairs. The Ceauşescus escaped by helicopter. The chief pilot of the Romanian presidential helicopter unit flew Nicolae, Elena and four entourage members to Snagov. Ceauşescu commanded his pilot to round up an additional VIP transport helicopter plus two more helicopters filled with armed soldiers to serve as a guard. The pilot called his unit commander, who replied "There has been a revolution ... You are on your own ... Good luck!" Down to reusing the one helicopter and the increasingly unwilling pilot, they ditched two entourage members to get down to the rated four passengers: the dictator, his wife, and two Securitate bodyguards. Ceauşescu ordered that they fly to Titu. As they neared that city, the pilot began rapidly varying altitude "to avoid anti-aircraft fire" as he explained it. Ceauşescu panicked and had him land in a field next to a small road to Piteşti. The pilot just then happened to notice a severe technical problem and reported that the helicopter was unable to fly any further. 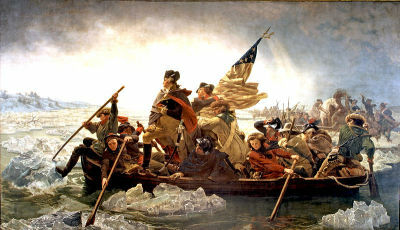 George Washington's forces and the Romanian people: Two groups who will hunt someone down and kill them on Christmas morning. Completely out of helicopter pilots, the Securitate men went to the road to flag down cars. They stopped a forestry official and a local doctor. The doctor wanted no part of this, and his car quickly developed the very sort of sudden and unsurmountable engine problem that the presidential helicopter had just suffered. The Securitate men went back to trying to flag down cars. They stopped a local bicycle repair man, who convinced them that he could safely hide them in an agricultural technical institute on the edge of Târgovişte. He took them there and the institute's director locked them all into a room. The door was unlocked by the local police at 3:30 PM and they arrested the Ceauşescus. At this point, European royalty went into crisis management mode and again proved their importance in the modern world. On the next day, the 23rd, Ceauşescu's Danish Order of the Elephant was revoked by Queen Margrethe II of Denmark. On the 24th, Queen Elizabeth II of the United Kingdom announced that she was revoking Ceauşescu's honorary Knight Grand Cross of the Order of the Bath, and what's more, she would be returning the Romanian Order that Ceauşescu had bestowed upon her. A trial was held for about 2 hours on Christmas morning, the 25th. Nicolae and Elena Ceauşescu were both found guilty and sentenced to death. The sentence was immediately carried out by three paratroopers using their service rifles. I mean immediately, as the cameraman who had been recording the trial only got to the courtyard as the shooting was ending. Just southwest of Piaţa Unirii, up a low hill along Străda Mitropolei, you find the Romanian Orthodox Patriarchate. 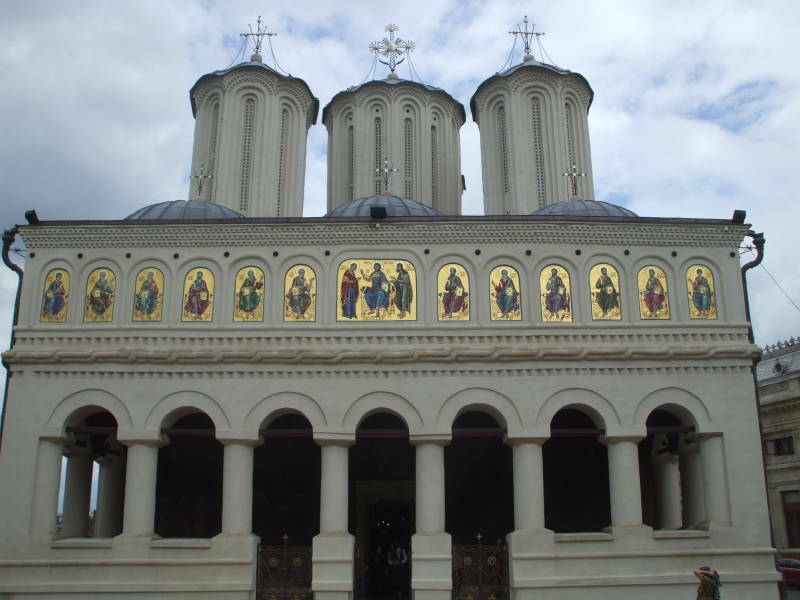 The Russian Orthodox Church is the largest Orthodox church, and the Romanian Orthodox Church is the second-largest. It was formed by the merger of the Orthodox churches of the principalities forming Romania, the Metropolis of Ungro-Wallachia and the Metropolis of Moldavia. 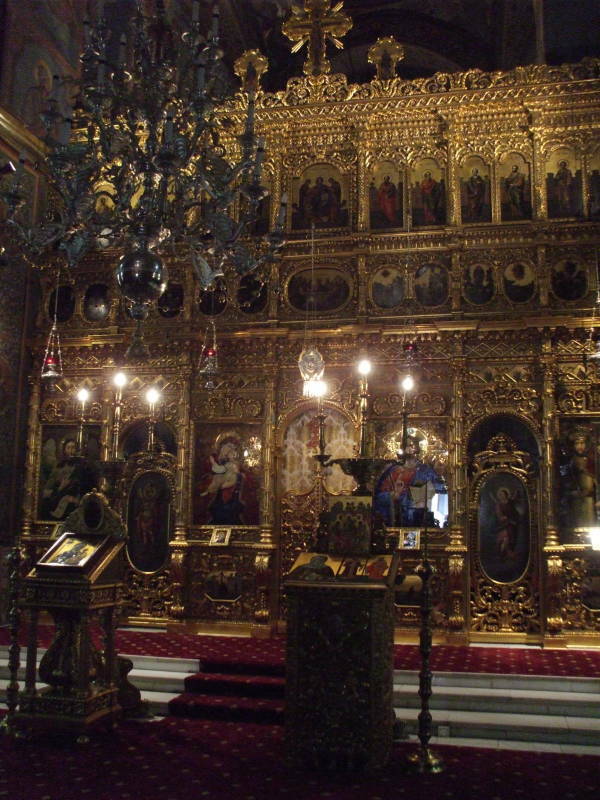 The Ecumenical Patriarchate of Constantinople recognized the Romanian Orthodox Church as autocephalous in 1885, and raised its leader from the rank of Mitropolei or Metropolitan to Patriarhiei or Patriarch in 1925. 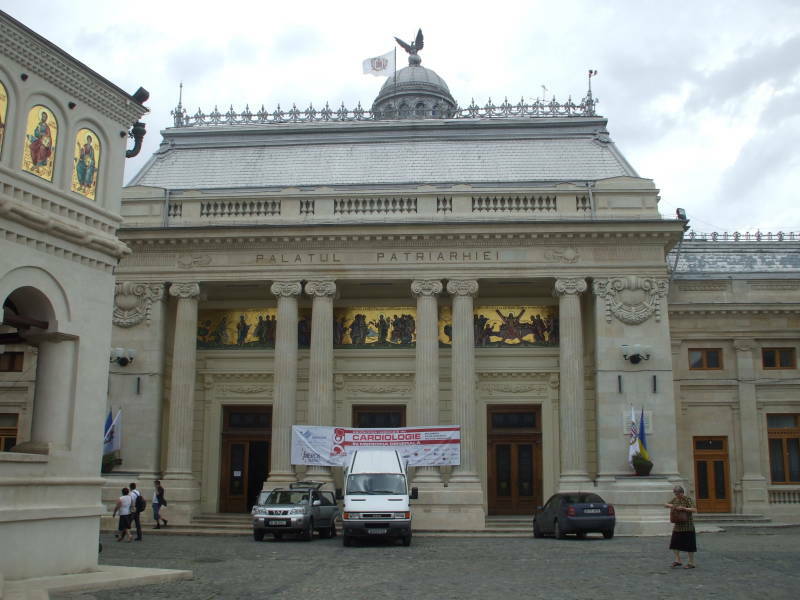 This is the Palatul Patriarhiei, home and offices of the patriarch. 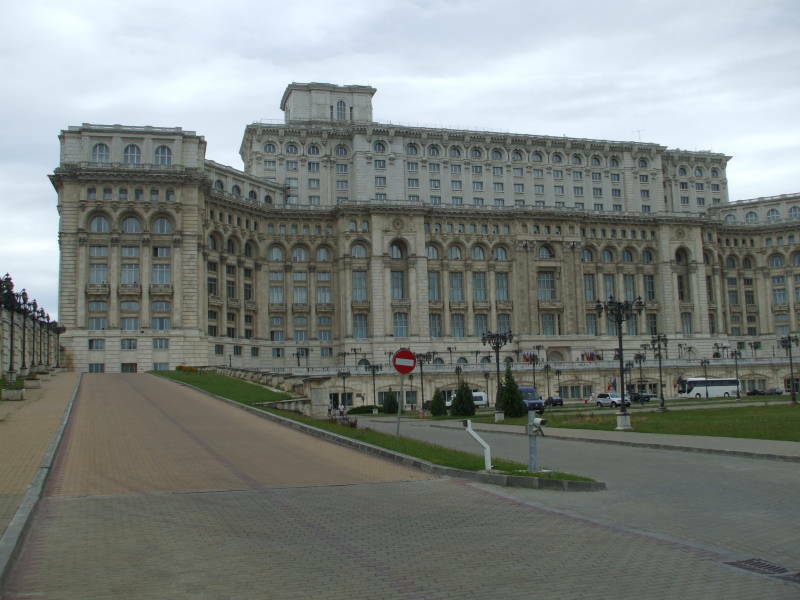 This was a government building during Communist rule: Palatul Camerei Deputaţor or the Palace of the Chamber of Deputies, also known as the Palatul Marii Adunări Naţionale or the Palace of the Great National Assembly. It was turned over to the church in 1997. The location was not a Communist plot. The national legislature had been built within a religious complex in the 15th century, when the boyars, the only citizens with the right to vote, had the Orthodox Metropolitan as the leader of their sessions. The building you see today was built in 1907. This was just a small wooden church surrounded by vineyards in the 15th century. 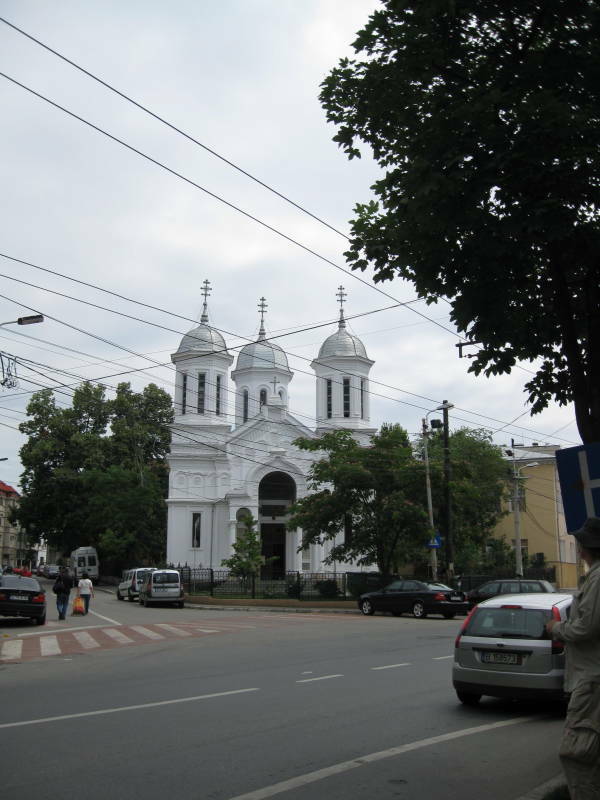 Now it is the patriarchal cathedral, adjacent to the patriarchal palace. You can see the corner of its outermost facade in the picture above. The porch has a Last Judgement fresco above the entry. We will see much more of this when we get to Gura Humorului and the painted churches of the Bucovina region. 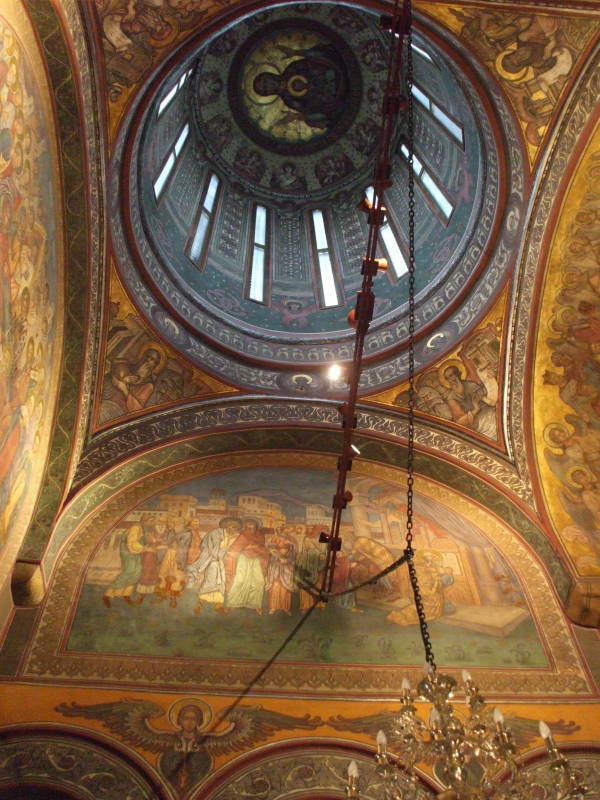 There is a Christ Pantocrator fresco in the domed ceiling above the entry. Let's go in! 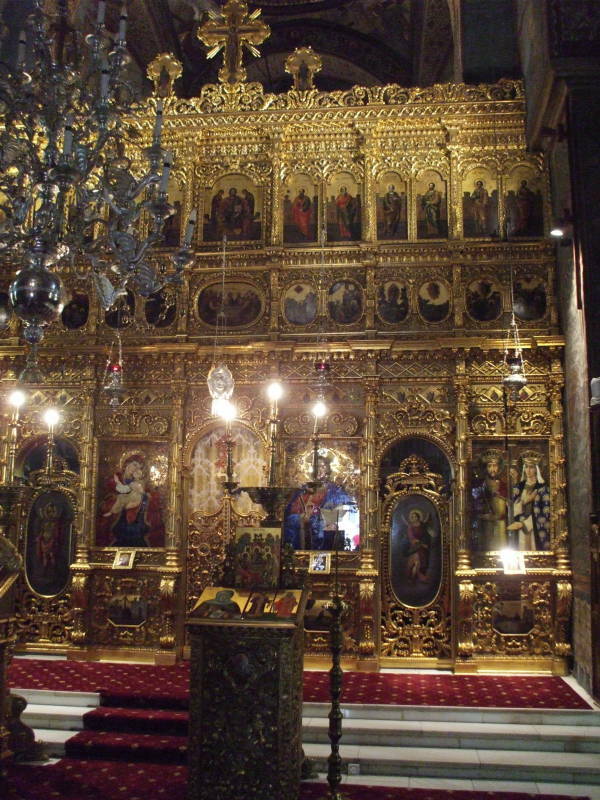 The iconostasis of an Orthodox church separates the nave, the main chamber, from the inner sanctuary and the altar. 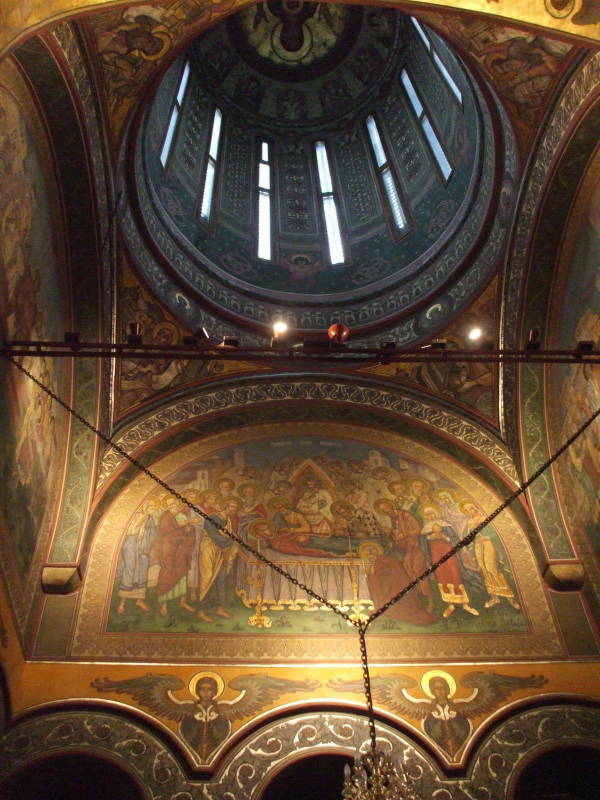 The altar is in an apse, a semicircular area under a half-dome. 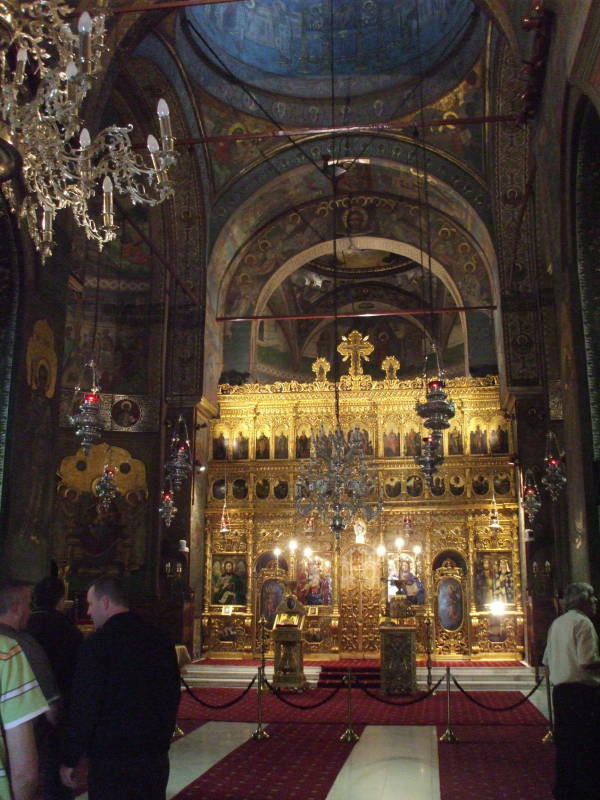 In the picture at left you can see that here is a central high dome just before you get to the iconostasis. 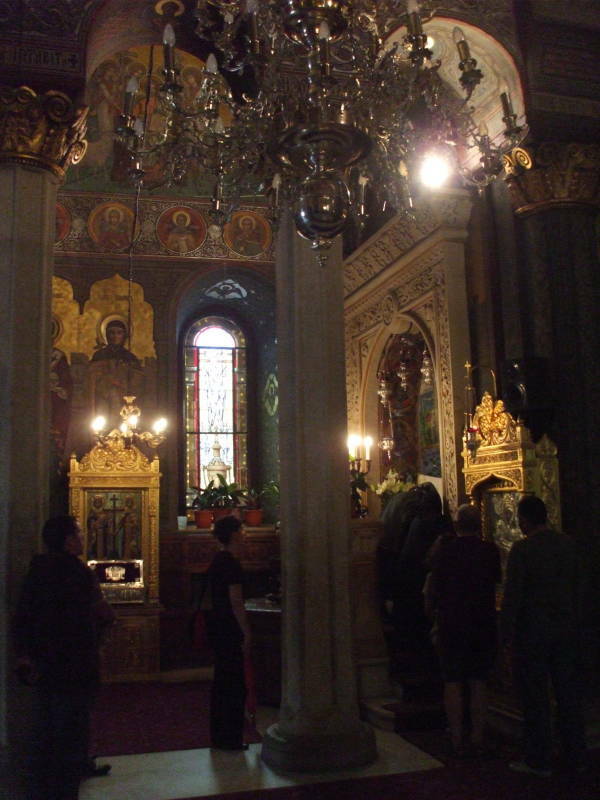 There are three apses: the one with the altar beyond the iconostasis and one to each side, making a cross shape for the overall floor plan. 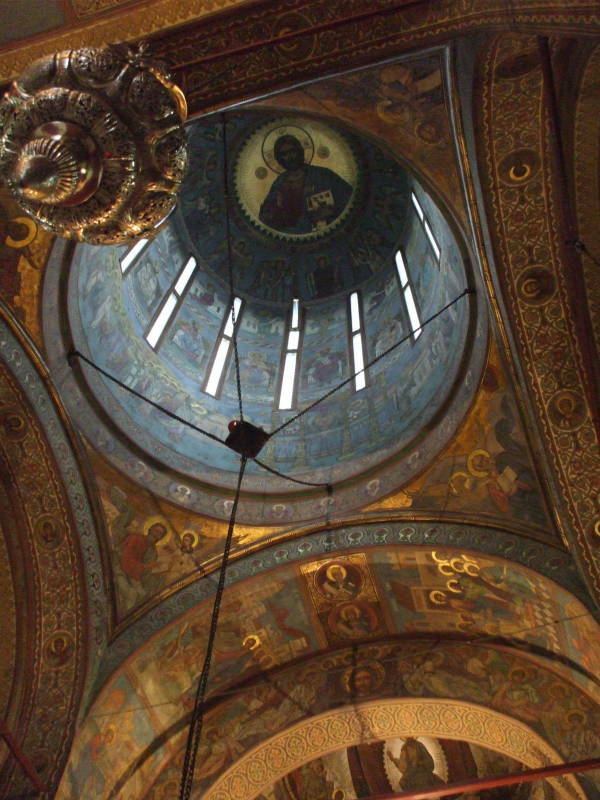 The central dome of an Orthodox church has a Christ Pantocrator or Christ in Majesty representation. 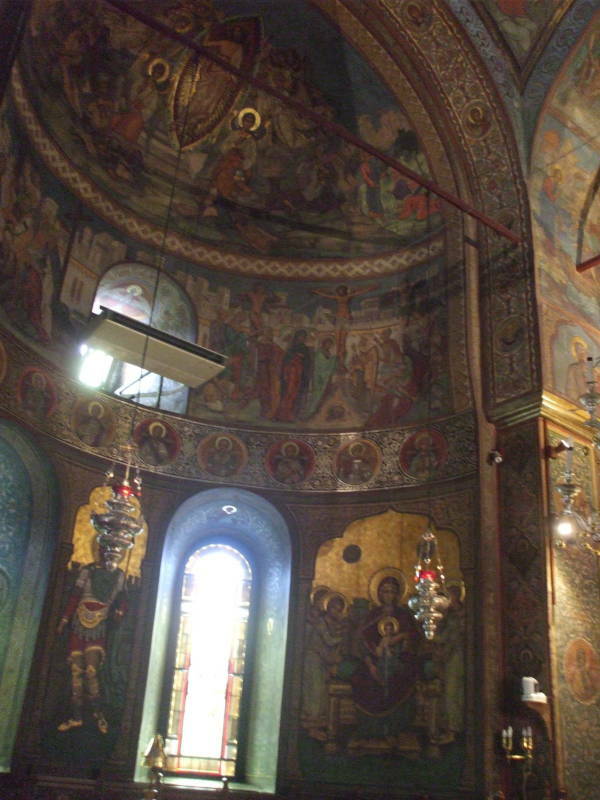 The walls and half-dome of the apses are decorated with elaborate frescoes. 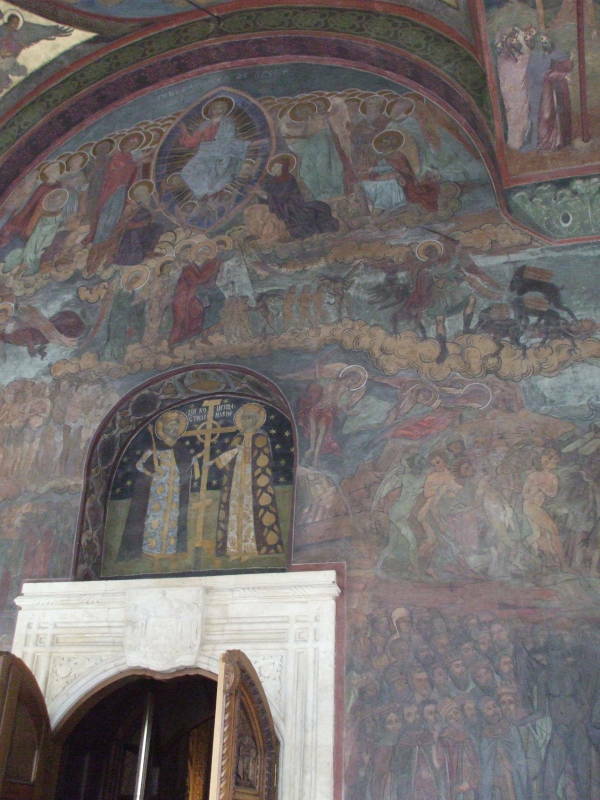 Looking back, the wall opposite the iconostasis often shows the Dormition, literally the "Going-to-Sleep" or the death of Mary. 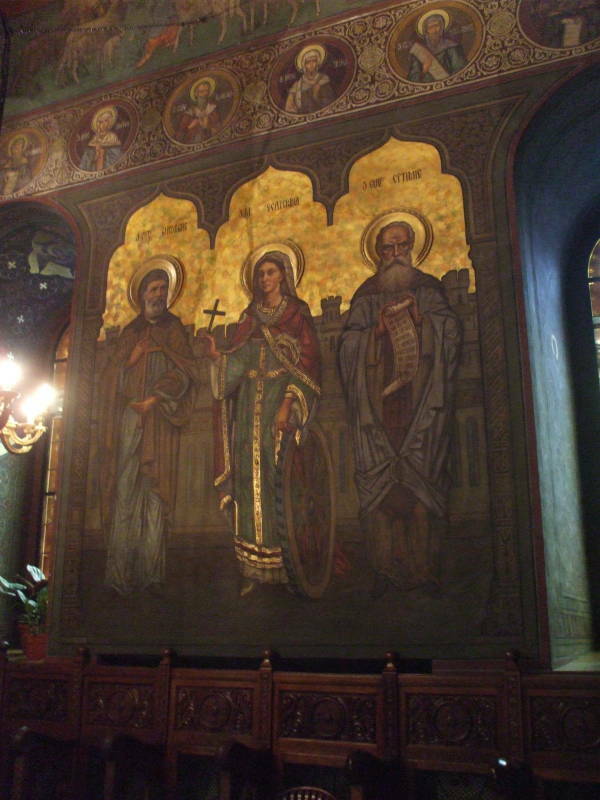 Left to right here: Saints George, Katherine and Timothy. 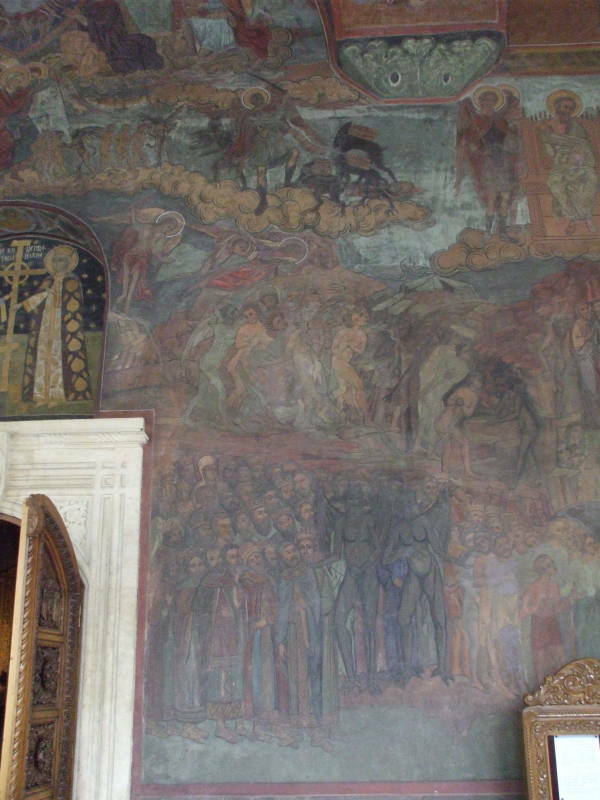 These interior frescoes were all done in 1923. 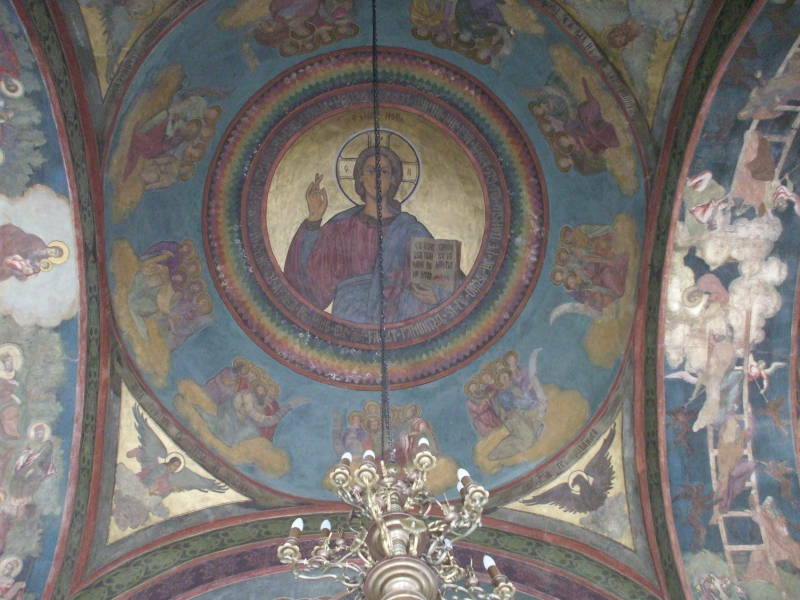 We will see much more about Romanian church architecture and history in a later stage of the trip, when we get to Gura Humorului and the painted churches of the Bucovina region. 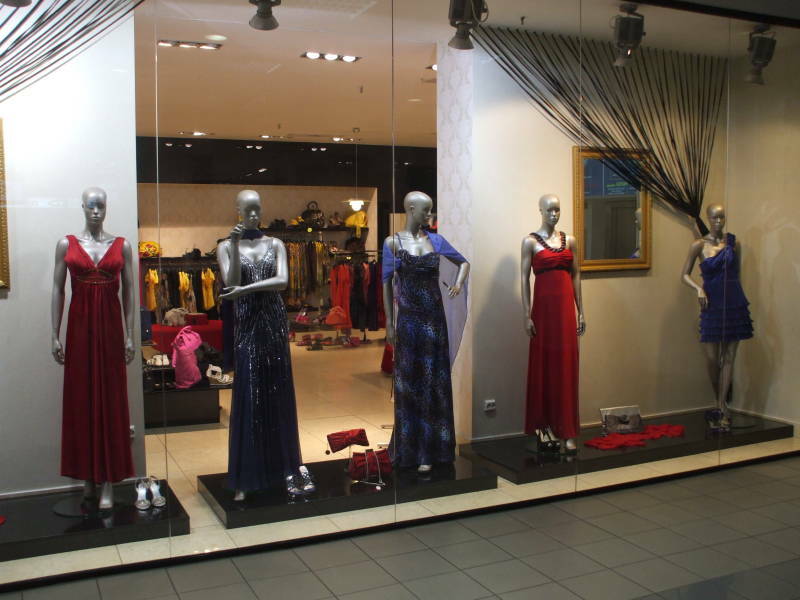 The Unirea shopping arcade at Piaţa Unirii is as surprising as ЦУМ in Sofia. 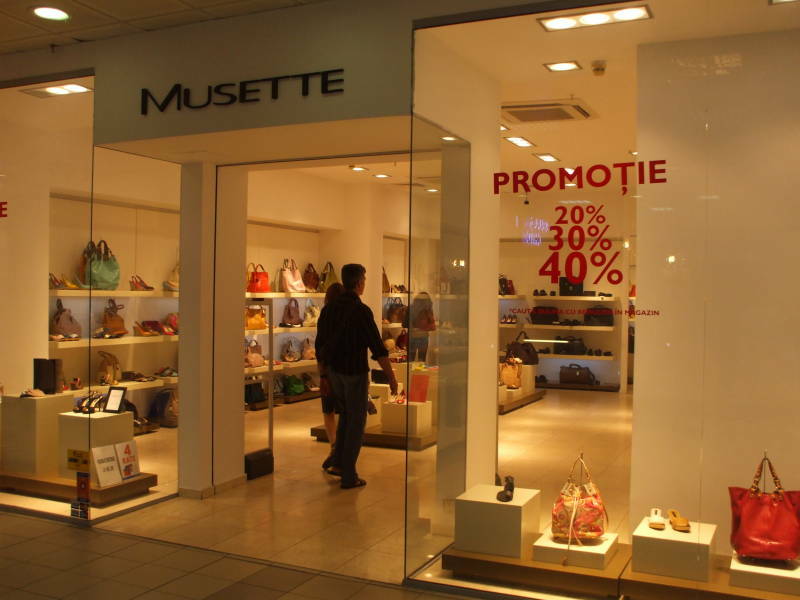 It was built as a department store in 1976, now it has been converted into a multi-floor mall with many stores.